29th Battery, 42nd Brigade, 3rd Division, Royal Field Artillery, B.E.F. 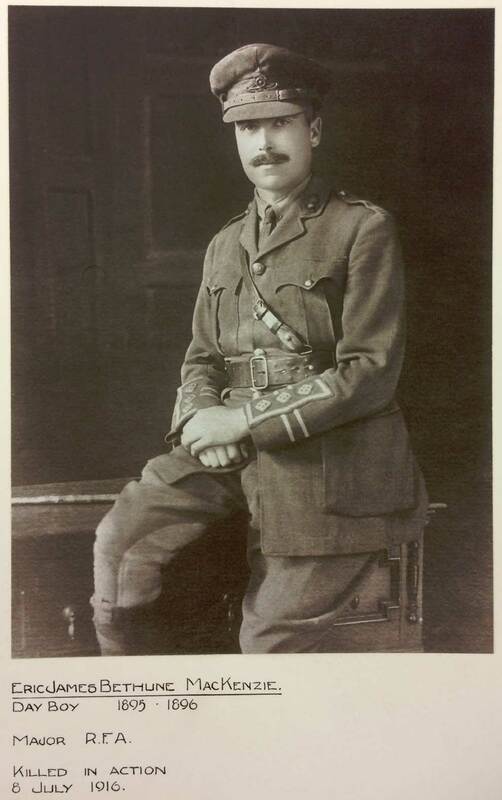 Eric Mackenzie, commanding 29th Battery, Royal Field Artillery was killed when during a bombardment the dugout in which he was sleeping collapsed at 2 am on the 8th July 1917. The previous day his Battery had been in action covering the advance of the 8th Infantry Brigade south of Montauban. War Diary of the 42nd Brigade RFA PRO: WO 95/?